For more than fifty years, The Paris Review has brought us revelatory and revealing interviews with the literary lights of our age. This critically acclaimed series continues with another eclectic lineup, including Philip Roth, Ezra Pound, Haruki Murakami, Marilynne Robinson, Stephen Sondheim, E. B. White, Maya Angelou, William Styron and more. In each of these remarkable extended conversations, the authors touch every corner of the writing life, sharing their ambitions, obsessions, inspirations, disappointments, and the most idiosyncratic details of their writing habits. 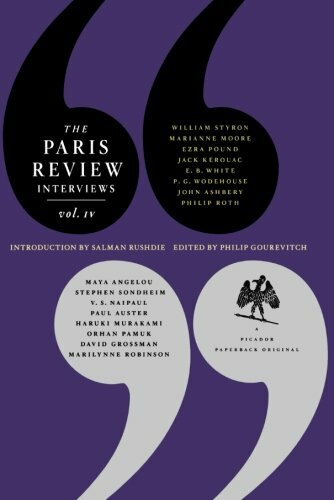 The collected interviews of The Paris Reviews are, as Gary Shteyngart put it, "a colossal literary event."